With the assistance of our team, we are engaged in manufacturing, supplying and exporting bulk of Stitch Line Tape. 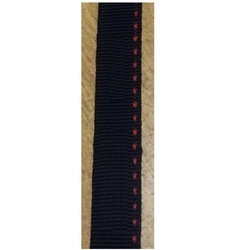 This Stitch Line Tape is known for its superior quality. We are a remarkable entity, engaged in offering a superior quality range of Garment Tape. This tape is manufactured in compliance with industry quality standards using premium quality materials with the help of contemporary machines. 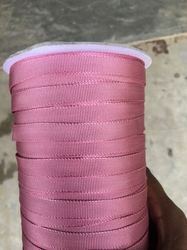 Polyester yarn dyed AZO free. We are the prominent organization of Herringbone Tape that is used in strapping boxes, home applications and is suitable for use in textile industry. It is manufactured using high grade materials under the guidance of deft professionals as per the latest market developments. In addition, this is offered in diverse widths and sizes as per the precise needs of the clients at marginal rates. Leveraging upon our wide industry experience, we are engaged in providing Stitch Line Tape.